OMG I’m in food heaven right now!!! 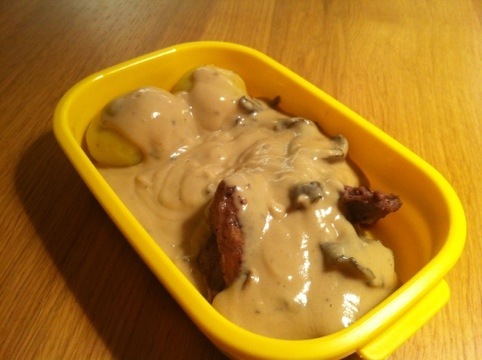 Mathias prepared a steak of moose tonight with a chanterelle sauce and potato. It was the best dinner I’ve had in quite awhile! And the sauce was just so heavenly I’m going to dream about it for weeks!